Each gift certificate has a value of $25. 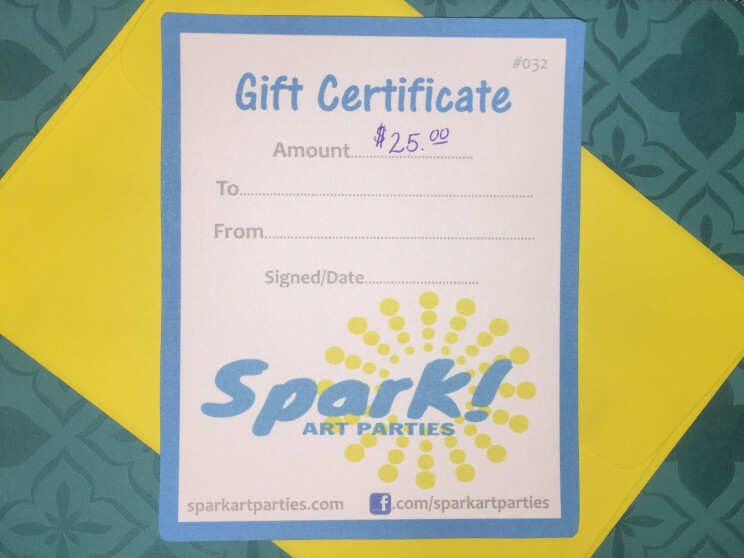 Please enter the address you'd like the certificates sent to IN THE COMMENTS SECTION or after ordering you can send an email with your name and the shipping address to contact@sparkartparties.com. Gift certificates will be mailed within two business days.